There has been a burgeoning ecosystem being built on top of the Ethereum blockchain. Developers have been building decentralized application (DApps) on top of the Ethereum blockchain which require Ethereum-based tokens to interact with. Other projects have been fundraising their project visions via conducting an initial coin offering (ICO). ICO’s issue tokens to investors in exchange for funds with the token typically having a key role to play in the project being proposed. Many of the major cryptocurrencies have used the Ethereum blockchain to conduct their ICO prior to launching their own mainnet. Some large-cap projects which did this include EOS, Tron, and ICX. Guide: If you would like to learn more about tokens, visit our ‘Taxonomy of Tokens‘ guide. Whether users are taking part in an ICO or interacting with a DApp, it is important that they have full control over the token that they have purchased. Different wallets which deal with tokens provide different features. Some have a strong focus on security and the ability to exchange whereas others have more of a focus on enabling the user to interact with DApps. We delve into the top-tier token wallets to consider. 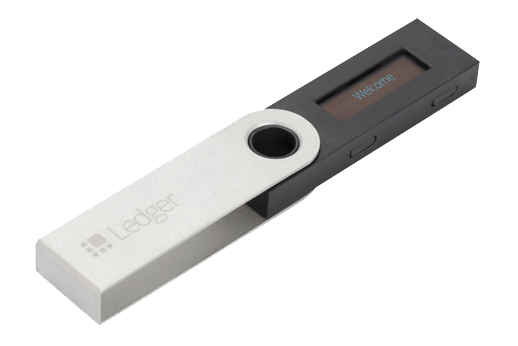 The Ledger Nano S provides the highest level of security one could expect from a wallet. The private key is stored on the device itself and high levels of encryption are used. This Ledger wallet supports the widest number of cryptocurrencies. Many of these are Ethereum-based tokens. Although it doesn’t provide the same ability to interact DApps as other wallets on this list, Ledger Nano S makes the top spot on this list due to its strong level of security. The Ledger Nano S is a device similar to a USB. The device comes in a sealed package so that users will know if the device has been tampered with prior to it delivering. 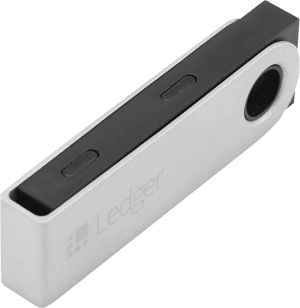 Hardware wallets such as Ledger Nano S provide the best of both cold storage and hot storage. The device is mostly kept offline providing high security to the funds stored. When users wish to send token transactions, they can connect their device to a computer and access an interface provided by Ledger via a Chrome-based app. Users can manage their account from the interface. They can monitor the balance of their tokens and send or receive different tokens. There are mobile wallets which enable users to import their Ledger Nano S to create a watch-only wallet. This allows users to monitor the balance of different tokens via their mobile and also to receive transactions. When users are setting up the Ledger Nano S wallet, they will be provided with a recovery seed. It is important for users to take careful note of the recovery seed as it can be used to recover token funds if the device gets lost or stolen. It is also important for users to carefully store the recovery seed as if another person accesses the recovery seed, they will be able to access the funds on the wallet. For more info read our Ledger Nano S review. Another hardware wallet worth considering is Trezor. Trezor was initially released in 2014 and was developed by SatoshiLabs. It does not have as wide of a support as Ledger Nano S but still supports over 700 cryptocurrencies. Many of these are Ethereum-based tokens. Trezor also integrates with ShapeShift which enables users to easily exchange between the funds stored in the wallet. This allows users to easily trade between the Ethereum-based tokens which they store in their Trezor and which are supported by ShapeShift. Trezor also has additional features and integrations which users can avail of such as the Trezor password manager which applies the encryption of the wallet to secure passwords. Trezor have an emphasis on making their wallet highly beginner friendly. They provide clear set-up instructions in the package and regularly publish content explaining how to operate the Trezor device. Formerly known as Toshi, Coinbase Wallet is a web-based and mobile wallet which focuses on Ethereum and Ethereum-based tokens. The mobile wallet version is supported on both Android and iOS. The wallet is highly focused on enabling users to manage their tokens and allowing them to interact with the Ethereum ecosystem. The private keys for the wallet are stored on the user’s device and are secured through Secure Enclave and biometric authentication technology. Users can complete all the normal functions that a wallet provides. They can monitor their balance as well as send and receive Ethereum and Ethereum-based tokens. Users can also interact with DApps through the wallet and use their tokens within the DApps. The wallet also allows users to receive airdrops which take place on the Ethereum blockchain and participate in ICOs. The wallet enables users to access decentralized exchanges so that they can easily convert between their Ethereum and Ethereum-based tokens. Coinbase has developed into a business on the frontier of cryptocurrency innovation. This provides further strength to this wallet as a consideration. If any malfunction were to happen to the wallet, Coinbase would be held responsible and have a large reputation to protect. MetaMask is one of the most popular Ethereum wallets and enables users to store their Ethereum-based tokens and interact with DApps built upon the Ethereum blockchain. The wallet operates as a browser extension and functions in both the Chrome, Firefox, Opera, and Brave browsers. The code for the wallet is open-source allowing a large community of developers to assess its level of security. The wallet is also hierarchical deterministic meaning that users can generate multiple pairs of public and private keys. The private keys of the wallet are stored in the user’s own browser and are password encrypted. MetaMask does not have access to users private keys. There is also the option to operate the wallet from the users own RPC server for users who have technical knowledge. The wallet gives users the ability to interact with the Ethereum-enabled websites and DApps through their browser. Users can interact with the Ethereum testnet if they want to trial how it works and don’t want to really use their tokens. Users can easily convert to the mainnet when they want to really interact with the DApps. Overall, MetaMask is one of the most popular Ethereum and Ethereum-based tokens wallet. It is one of the more straightforward to operate and interact with DApps through. There are videos available on the MetaMask website which walk users through setting up the wallet. The wallet was built by a team of active Ethereum developers so the system is designed to facilitate what token holders really need for securing their tokens and interacting with the Ethereum ecosystem. MyEtherWallet is another browser-based wallet. The wallet supports both Ethereum and Ethereum-based tokens. The wallet is free to use and is open-source. Users are in control of their own private key. Upon creating a wallet, users are provided with their private key and it is emphasized to them to store it. The creation of a wallet takes place completely on the side of the user with no information being stored on MEW servers. MEW also supports importing hardware wallets such as Ledger Nano S and Trezor. Storing Ethereum on Trezor automatically redirects to MEW. MetaMask can also be connected to MEW. MEW does not enable users to interact with DApps in the same way as wallets such as Coinbase Wallet and MetaMask. It does, however, provide a secure way for users to store their Ethereum and Ethereum-based tokens completely from their computer. Users can send, receive, and store funds in the same manner as most wallets. Owners of wallets will also often receive airdrops. The wallet has a strong emphasis on security and presents the user with numerous slides explaining how the wallet works when they arrive on the website. The wallet is highly popular among users and highly regarded in the community. Guarda wallet is one the best wallets available for managing tokens and interacting with DApps. The wallet is available in the web browser, on mobile, and on the desktop. The wallet is supported on Windows, OSX, Linux, Android, and iOS. Users of the wallets are in control of their own private keys. Guarda does not store any of the user’s data. The public and private keys for a created wallet are stored in the user’s browsers and high levels of encryption are applied so that the keys are only accessible to the user. This means that users will not be able to be assisted by Guarda if they lose their private keys or any passwords. The wallet is hierarchical deterministic and allows users to generate multiple pairs of public and private keys. Users can easily manage their account through the intuitive Guarda interface. Users can send, receive, and store tokens from the wallet. One of the main features which make Guarda attractive as a token wallet is the ability to interact with DApps and use tokens through the Chrome extension and desktop version of the wallet. The wallet also has a built-in exchange which enables users to purchase tokens with fiat currency and exchange between different tokens. Users can purchase via their debit or credit card with built-in exchange allowing users to purchase in a wide variety of local currencies. Overall, Guarda provides both strong security and a range of features attractive to those who hold tokens and want to interact with DApps. The combination of these factors makes Guarda a top consideration as a token wallet.